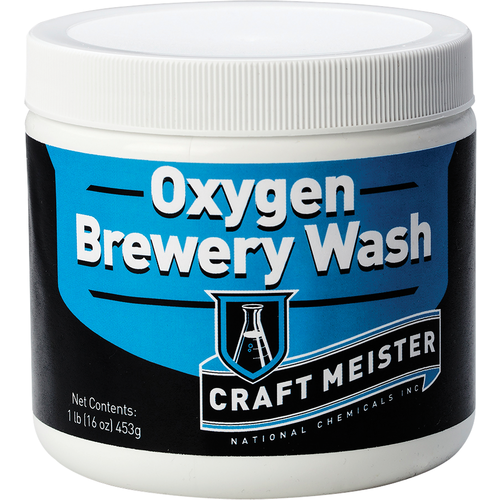 Craft Meister Oxygen Brewery Wash dissolves rapidly, cleans in hard or soft water, and rinses away with no chalky residue or film left behind on your gear. 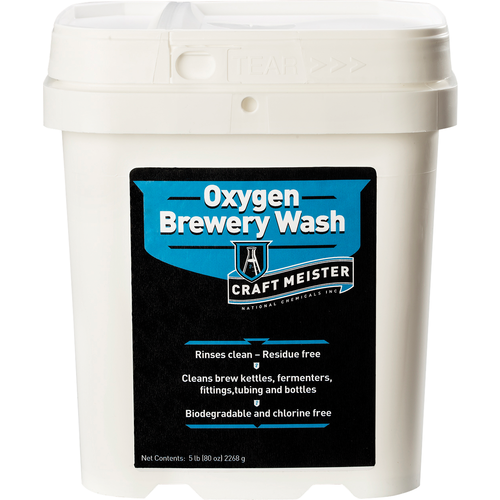 Save time and effort with a cleaner that gets to work faster and doesn’t leave behind a trace of white hazy build up on your equipment. 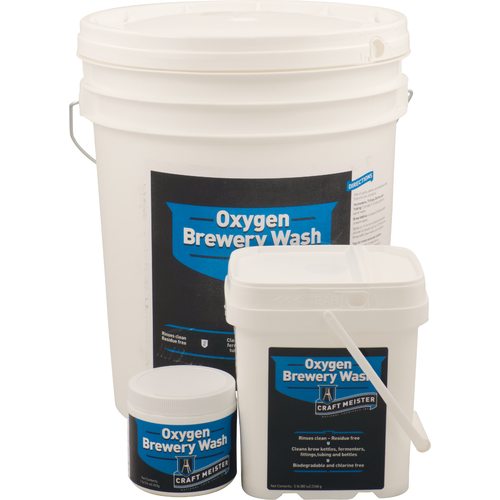 With more active cleaning oxygen than any competing product in the market and a non-caustic alkaline punch, Oxygen Brewery Wash blows away dirt and debris with ease.